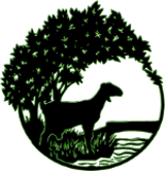 Terrell Creek Farm is a farm owned and operated by Lesley and Barry Million. Nestled in the heart of the Ozark Hills, the farm is bathed in the beauty of nature. It is our appreciation of this beauty that inspires us and guides our every decision and practice. We employ sustainable, organic methods in caring for our land, our animals, and in producing our artisan cheeses. 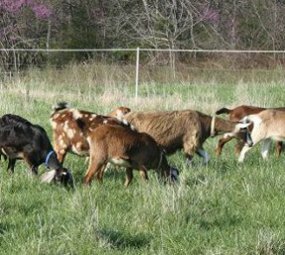 Our exceptional cheeses start with pure, fresh milk from our own healthy and happy goats. We are a "farmstead" dairy, meaning we use milk only from our own animals. We are very particular in the management of our herd of Nubian dairy goats. They have unlimited access to fresh artesian spring water and year-round pasture and browse. 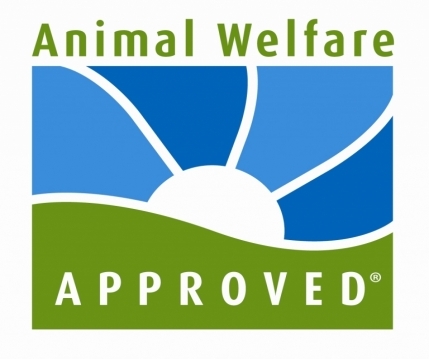 We use a rotational grazing system to promote the health of our land as well as to offer the most nutritious forage. As a result, the milk they produce reflects the distinctiveness of the Ozark Hill region. These subtle local flavors carry over into our handcrafted cheeses. Our herd is also supplemented with local hay, organic materials and herbs, and our own custom blended organic grain mix. We avoid the use of any and all chemicals, and employ the use of careful management practices. We use the same care in producing our cheeses. Our cheese is handcrafted in small batches and individually hand wrapped. Each stage of production is carried out with great attention to detail and quality. © 2015 Terrell Creek Farm. 508 Fordland Hills Dr. Fordland, MO 65652.